Q: How does Cash N Gifts work? Q: Where are the offers, and how to earn with them? Q: Do you have daily Surveys? Q: How much do you pay for referring my friends? Q: What is Rewards Video? Q: Do you reward users for daily visiting your website? Q: What is CNG lottery and how to earn with them? Q: What is the minimum cashout amount? Q: How can Cash N Gifts give away vouchers and mobile recharges for free? Q: Do you have an Android App and why should I install it?? Q: Some Frequently asked questions by our users? Q: How can I contact Cash N Gifts? 2. Login Daily: Everyday we give our users login points, for daily login both in website and the App. 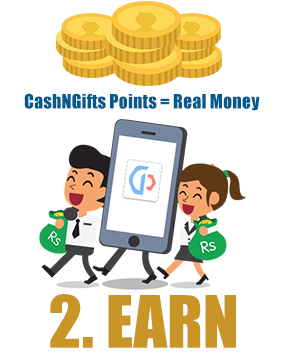 So remember to login daily both in App and website to get free cashngifts points. 3. Daily Free Points: Not only that by visiting our Daily Bonus page get Cash N Gifts points ranging from 1 to 5 for free! 4. Earn points: To be able to offer our users FREE gift vouchers to use at online stores, you need to earn points. 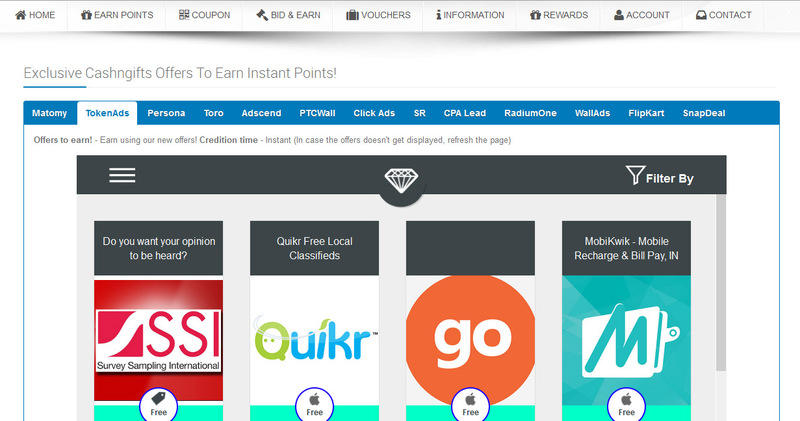 Earning these points are FREE, and you just need to complete a few offers or free surveys to get enough points to claim free gift vouchers and free mobile recharge to use at online stores such as Flipkart,Amazon.in, PayTm and Mobikwik . That's not all we have monthly contests where you can earn loads of free points. 5. Invite Friends: By inviting your friends here you can also earn 60 points (when they redeems for the first time) and 15% of each and every offer completed by your friend for lifetime! Your friend also gets 50 Points extra when they join under you. We also pay you for sharing your referral link on Facebook each week! 6. 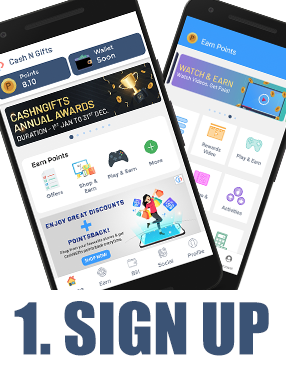 Exclusive Lottery: Yes here at cashngifts.in we have exclusive Daily lottery system for our users, play "CNG" lottery and win huge points for free! 7 . Gaming Arena: Play from over 100's of free games at CashNGifts and earn cash. So who say's you can't earn while having fun? 8. 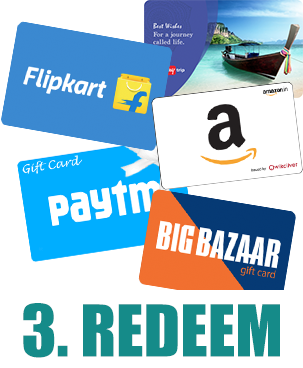 Get a Free voucher: Once you have earned Rs.45 which is 450 points on Cash N Gifts you can swap them for REAL cash vouchers from Flipkart, Paytm, Mobikwik, Amazon.in and Mobile/DTH Recharges. Basically, you can request ANY voucher, as long as we can buy it online and send to you via email. The possibilities are endless. 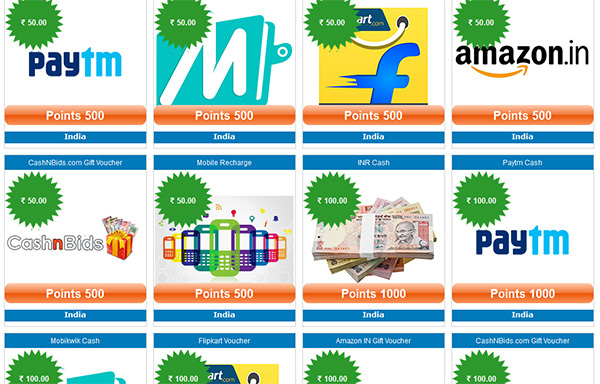 In Cash N Gifts, points equate to REAL money for online shopping or free recharge. Once you have enough points, you can swap them for a voucher, redeemable at a store/website of your choice! You can earn points by daily login,playing lottery, winning contests,inviting friends, filling quick surveys and free offers that take around 1 minute. Yes we have Daily Surveys section and you can complete offers from a huge range of Daily Surveys available. Login every day to try various surveys and earn huge points at one go. Some surveys are limited to one time per day and some even don't have daily limits! Yes we Pay you for referring your friends and do you know you can earn 60 points whenever your invited friend redeems for the first time and also we pay 15% of each and every offer completed by your friend for lifetime! Also your friend gets 50 points extra when they join under you. You can also earn 5 points for sharing your referral link on Facebook each week! So in a month you get 20 points for just sharing your referral link on Facebook. The Rewards Video feature is available exclusively for the CashNGifts Android App. Here daily you will get loads of videos from our Advertisers and by watching them you will get CashNGifts points. Moreover the video lengths are maximum of 30 seconds. Every day new videos are added and you can earn loads from them. Yes every day we give users points for logging daily. Not only that we give users Free Daily Bonus Points. You have to simply move your mouse over the Earn Points section and then click on Daily Bonus and you will land upon our Daily Bonus page. Click on the button which says Click To Get Bonus and you will get daily 1 to 5 points randomly daily! Cash N Gifts runs daily lottery where you can earn loads of points.Go to "earn points" tab and click lottery, where you can get your lottery tickets. There are 5 types of lottery ticket. The minimum cashout is amount is only (Rs. 100). After collecting Rs.100(1000 points) you can cashout and get your free gift voucher, free recharge or anything you want for free! To be able to offer our users FREE gift vouchers to use at online stores such as Flipkart,Amazon etc or free mobile recharges you need to earn points. Earning these points are FREE, and you just need to complete a few free offers or invite your friends to get enough points to claim a free voucher. Q: Do you have an android app and why should I install it? Yes, we have an Android App where you can earn on the go. You get login points for using the Android App too! 2 points for logging in website and another 2 points for logging in App. Another secret! some offers give 10% extra points on the App! Keep a watch. Download it from here. 1. I'm trying to complete offers on mobile Opera Mini, but it seems I can't complete those offers? Try to complete offers using your desktop browsers such as Firefox or Chrome. 2. When I open the "watch videos" page but there are no videos available? When videos will be available, you can automatically see them and earn points after seeing them. 3. Why didn't I get credited for a particular offer? If you completed a particular offer somewhere before, you won't get credited for the second time. Whereas some offers take time to credit please be patient for those offer to credit. 4. Which are the best offers to earn, any suggestions? 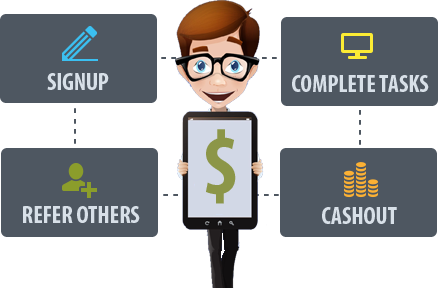 There are many exclusive Cash N Gifts offers, surveys from Adgate, Token Ads, persona-ly, matomy , superrewards, CPA lead, AdscendMedia etc where our users are earning the most. You can also order items from Flipkart using cashngifts.in and earn Cash N Gifts points. 5. How can I invite my friends? In your "Account Tab" go to "Refer and Earn" and there you can see methods to invite your friends via App or website.If you want to invite someone, you can invite them via your yahoo email id. We have facebook and Google+ integrated in our website, you can use those plugins to invite your friends on Facebook or Google Plus. There are also banners to invite your friends, you can use them on your blog/website. 6. How to earn via "Paid To Click Ads" i.e. PTC Wall Ads on Cash N Gifts? 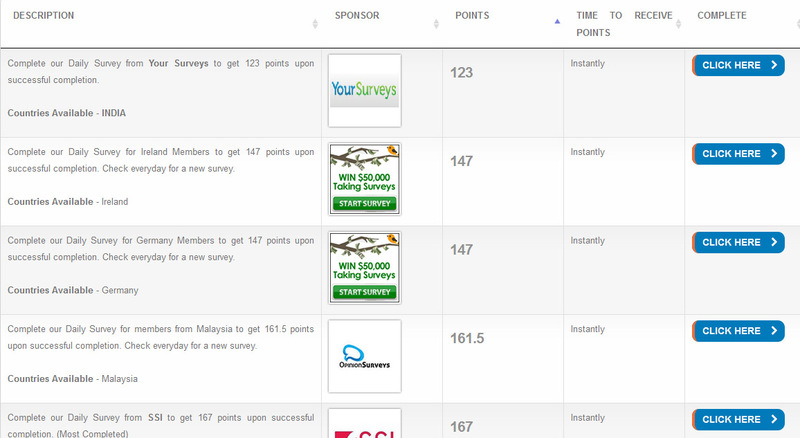 Click on any ads listed there which displays -"earn points" and not on their sponsored ads.They will not give you points. After clicking those earn points ads, the ad will open in a new tab and a timer will run on the "top left" of your screen. After the timer runs out, you need to click the correct image displayed and you will get your points. 7. What is Cash N Gifts's inactive account policy? If you have not logged into the CashNGifts App for more than 120 days, your account is deemed inactive and your CashNGifts points will get reset to zero. 8. Why my account is showing disabled by Administrator? You must have made duplicate/extra referrals from the same IP, household, computer ,using VPN or illegal tricks. Creation of extra accounts is strictly prohibited in Cash N Gifts. The users who engage in this activity get their account banned and get this message will logging. Still having questions? Contact us using the link given below.